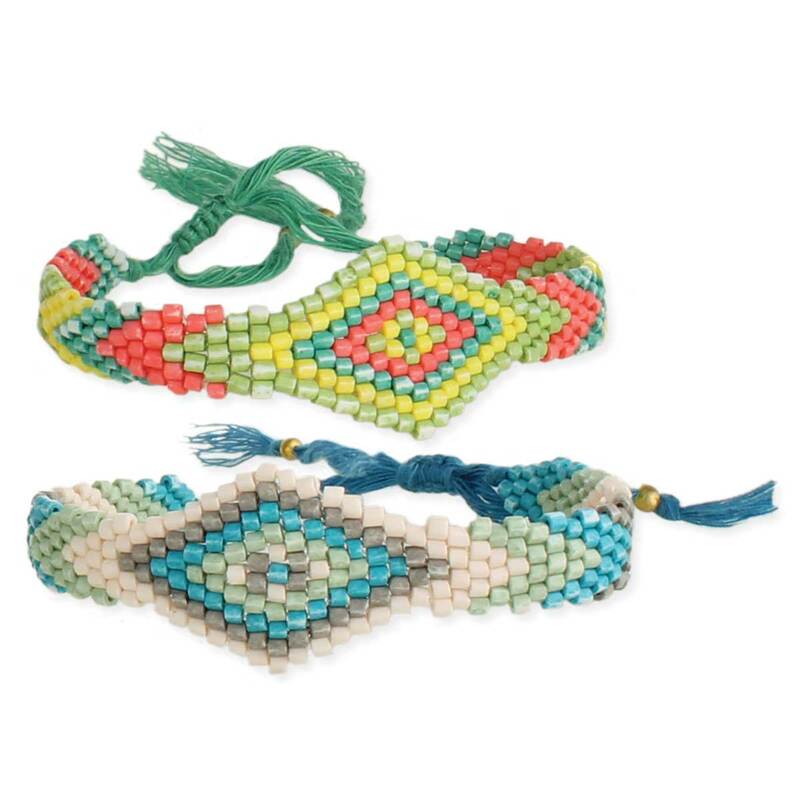 This bright beaded bracelet is the perfect festival addition! The bracelet handwoven design and bright color palette is a great way to add color to any outfit. Woven with bright blue or turquoise cord and complimented with a colorful southwest design, you can wear one or stack them on for an on-trend look.